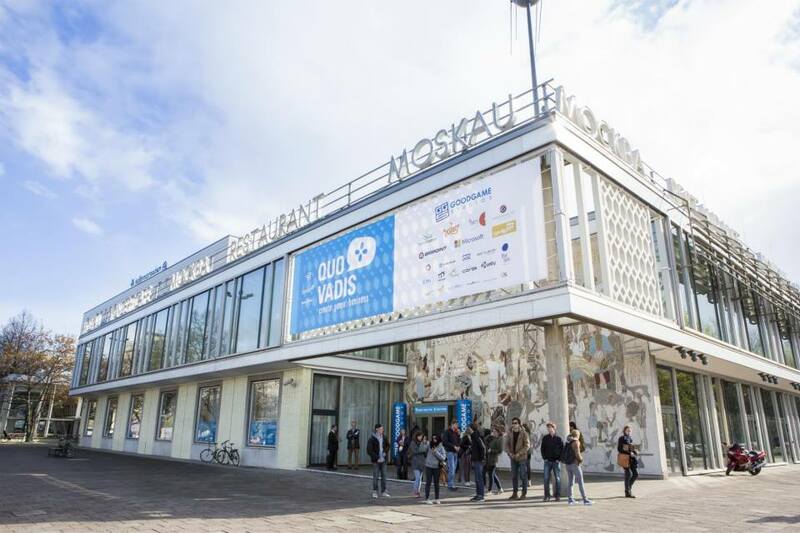 The awards ceremony was not the only highlight of the International Games Week in Berlin: From April 8th – 10th, Quo Vadis, a developers’ conference, took place in Café Moskau. Guests from all around the world attended presentations and discussion panels with international speakers from the gaming industry. As the main sponsor of Quo Vadis (now in its twelth year), we were obviously not going to be left out. Our colleague Caglar was on the discussion panel “Video Games in MENA: Where Cultural Heritage Meets Game Business”. Along with other experts from Germany and Saudi Arabia, he discussed the great potential for development in these exciting markets. Meanwhile, guests who wanted to get to know Goodgame Studios as an employer had the chance to do so at our conference stand, and of course they could also try their hand at table football. On Wednesday evening we also invited a number of guests to “Good Drinks with Goodgame”. 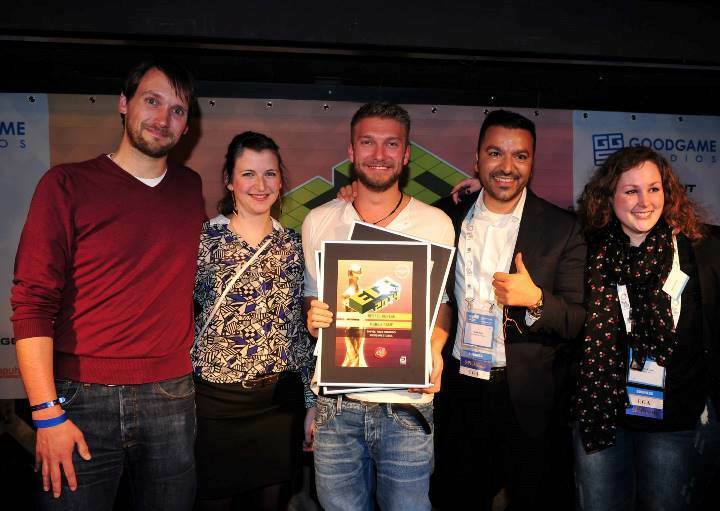 They enjoyed fingerfood, a relaxed networking atmosphere, and the best drinks in Berlin in the Booze Bar. The event was the perfect prelude to the award ceremony. All in all, it was an eventful and successful week for us in Berlin. Next year we are looking forward to being there again.